How does one become a progressive Muslim? What are the ingredients for loving the religion you were born into, understanding it deeply for oneself, and having the freedom and faith to question it? What inner held beliefs, and outer manifestations of one’s character will help bring about the necessary evolution of Islam that I believe is sorely needed today? Now, just past the age of 40, I’m circling back, and starting to embrace this inner and outer journey. And I think the answer lies in part, at least for me, in understanding the mix and evolution of values, both East and West, that have shaped me. I was born and raised in the UK as a practicing Muslim. 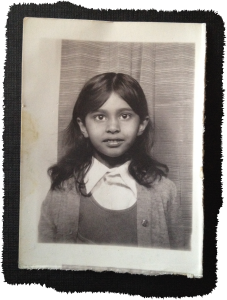 My parents both grew up in the same town in India, and at the time of the partition their respective families moved to Pakistan. They later married. My father, ahead of his time, was the first of his family to leave Pakistan and move to England in the 1960’s. My mother followed soon after. I can probably count on one hand the few memories I have of explicitly being on the receiving end of racist comments or actions, but as a family we were subject to our fences being kicked in on a regular basis for many years, and on one occasion having paint thrown all over my dad’s car, garage, front door and ground floor windows. These relatively minor abuses essentially stopped when the teenagers who were responsible for them moved up and out of home. For a while, either me or my brothers used to sit ‘on guard’ in the evenings, on the stairways, looking out through the net curtains, to see if we could identify the thugs. And, I’ll never forget the one time when my dad lost it, when we could hear the fences being kicked in, and he ran out of the house, barefoot, chasing the culprits down. My young brothers immediately ran out after him. I think it’s the closest we ever came to any violent confrontation, and I believe one of our neighbours may have come out to intercede on our behalf. I think it’s the only time I actually remember screaming and crying with real fear for my family’s welfare. But, that’s about it for the early days. My parents still live in the same town, and it’s still home. So while we were raised with the family and religious values of Pakistani Muslims, we were simultaneously immersed in Western culture, grew up with white English friends, and were imbibing Western values. My parents tried their best to walk a fine line between these two primary influences. They supported our core identities as Muslims through their own example and a loving family environment, and were open and willing to let us benefit from the freedoms of Western society. At the same time they also drew the line when it came to secular social norms which came into conflict with their beliefs and values. So my journey, started with their journey—of adapting to and integrating into English culture. They had the complex task as first generation immigrants of weaving together the values they brought with them, the elements of Western culture they appreciated and wanted their children to benefit from, and separating out those aspects they wanted to steer us away from. These two cultural currents mixed and informed each other in the melting pots of our young minds, and set the trajectory for who I am today.